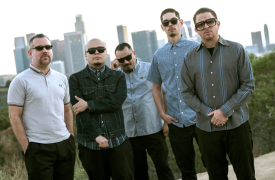 The Aggrolites are an amalgamation of two previous Los Angeles reggae and ska bands, the Vessels and the Rhythm Doctors. They formed in 2002 as a live backing band for reggae icon Derrick Morgan, and were asked to record music for a new Morgan album. The project was never released but the recording sessions inspired the Aggrolites to become a permanent band. They have served as the backing band for Phyllis Dillon, Scotty, Joseph Hill of Culture, Prince Buster, and Tim Armstrong. Regarding their musical style, Aggrolites organist Roger Rivas has stated that a combination of the sounds of 1960s soul music, funk, and skinhead reggae (also known simply as early reggae) constitutes what the band has dubbed "Dirty Reggae."